Sybertooth Inc is a publisher of fiction, non-fiction, poetry, and plays. If you should have any question about our publications, please click here to contact us. 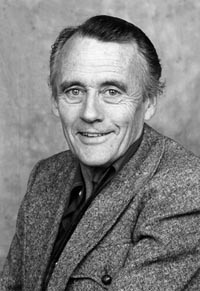 Max Ferguson’s 52 years as an announcer on CBC television and radio included such programmes as After Breakfast Breakdown, The Max Ferguson Show, Tabloid, Gazette, Inside From The Outside, 55 North Maple, and Telescope, and earned him many honours: the Order of Canada, the Governor-General’s Performing Arts Award, the John Drainie Award, the Gordon Sinclair Award, the Stephen Leacock Award (for And Now…Here’s Max), three ACTRA awards, and honorary degrees from Dalhousie University, Brock, Waterloo, Western Ontario, and the University of Saskatchewan. Max died on March 7, 2013. Max Ferguson's Leacock Award-winning irreverent memoir of life at the CBC in the 1940s-1960s. Introduced by fellow CBC announcer Shelagh Rogers. · Nuclear Warfare can be Fun! Page © 2013 Sybertooth Inc.